How Long Does it Take to Get Good at Poker? 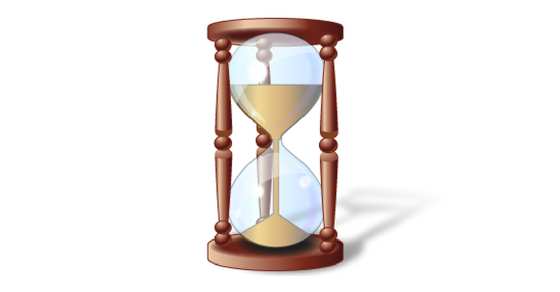 A common question that I see people asking is how long will it take to get good at poker. It's a very valid question because if your goal in this game is to turn a profit (as it is for most people), then you want to know when the payoff will come. For somebody who plays NL2, NL5 or NL10 online, they should be able to beat these games within 6 months. 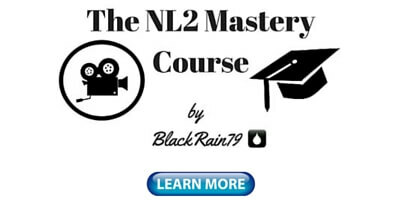 At higher stakes like NL25, NL50 and NL100 it will take a year to start winning. Beating high stakes games will take several years. Now unfortunately like with most things in poker there is no absolutely crystal clear answer to this question though, the above are just very rough estimate. It is simply going to be different for everybody. Some people learn faster, some people have more gamble in them and take shots sooner. And some people simply just have more work ethic than others and will brute force their way there. However, after 10 years of being around the micros online, playing millions of hands of poker and coaching 100+ people at these stakes, I can certainly provide some general ideas on how long it takes to get good in this game. What Does Being Good at Poker Even Mean? I think the first thing that we need to ask is what does being good at this game even mean? Because you see the thing with poker is that there is always a pecking order. Your skill level is always relative. Even if you are the best NL10 player in the world, it is highly likely that you would be a fish (or at least a "bad reg") if you were immediately placed in a NL200 game. But the best reg in the world at NL200 would also be the mark if he were thrown into an NL5000 game. So by "good at poker" in this article I am just going to be referring to good enough to beat a certain limit. And really I mean being one of the best regs which is the top 5% or 10% of all players. These are the people who I would refer to as "crushing" the game. At NL2 this might be 20bb/100. At NL25, 7bb/100. At NL200 3bb/100. Potential winrates go down drastically as you move up because the opposition simply gets better. So let's go ahead and speculate limit by limit! How Long Does it Take to Beat NL2? Let's start with the very lowest limit there is. This is NL2 which has one cent and two cent blinds. These are the games where you will still regularly find huge fish. I am talking about a VPIP of 40+. You can see this in the video series that I released at this limit last year. 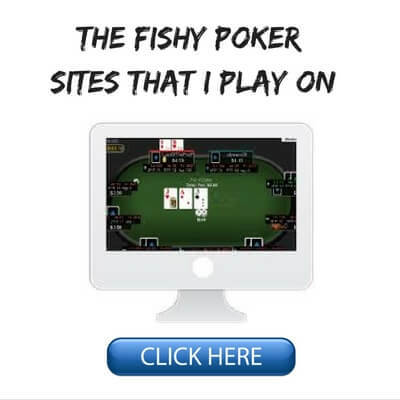 I played the entire thing on Pokerstars which is often considered one of the hardest sites out there and I really did not table select at all. I was also playing at the worst hours possible, Sunday night, Monday morning etc. There was a 40+ VPIP fish on my tables almost all the time without me even trying. I stacked them again and again with a very basic strategy. So in games that are this soft it does not take much at all to beat them. I would estimate that for a person starting from the absolute ground up (knowing nothing at all about poker), they should be able to beat NL2 within one month. And they should be able to crush this limit at the highest winrate within 3 months. 1. I am assuming throughout this article somebody who takes poker very seriously, not the casual hobbyist. To give you an idea, I used to play 100k hands in one month even with a full time job. 2. Secondly, most people actually lose at poker in the long run. There are many different reasons for this. If you are able to win at this game (no matter how long it takes you), then you are already way ahead of the game. Use the numbers in this article as motivation, not as a measuring stick to compare yourself with. Only a small elite (who also run decent to good early in their poker career) will achieve them. How do you learn to beat these games? 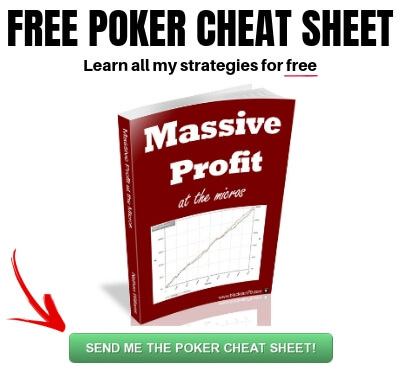 Well there are multiple ways to improve your poker game that I have discussed before both paid and free. 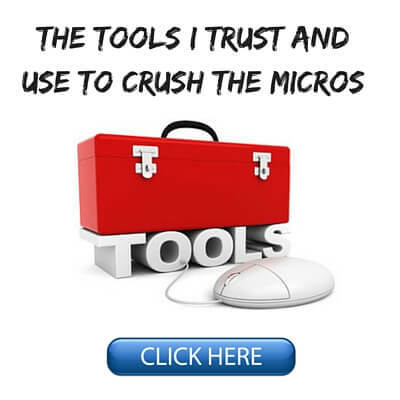 This runs the gamut from basic books, forums, Youtube videos, Twitch streams, training sites and strategy websites like the one you are reading right now. Good old fashioned experience at the poker tables should also play a large role in your learning. Before any of these education materials existed this is how I and many others learned how to crush these games. You don't need to know any advanced mathematical theory or really anything technical at all to beat NL2. Just a very simple TAG strategy will suffice. How Long Does it Take to Beat NL5 and NL10? I am going to group these two limits together because as I have discussed before I think the relative skill gap between NL2 and NL5 is large, but it is not nearly as big between NL5 and NL10. In order for a total beginner to beat these stakes it will probably take a few months. To become the top winner in these games might take as much as 6 months. Once again, you don't need to know anything too advanced to beat these limits. However, the biggest difference is that you need to start learning how to beat somewhat competent thinking opponents. The huge fish that you see everywhere at NL2 do not exist to anywhere near the same extent at NL5 or NL10 unless you table select well. This is something that you should absolutely be doing by the time you get to these limits by the way. I didn't get good at poker right away. I have developed my game over 10 years! The regs who you will be facing instead aren't exactly good poker players. However, they aren't just giving their money away like the fish or the beginner regs at NL2 either. So for instance the NL5 and NL10 regs are not going to stack off every time they have top pair or an over pair versus your set. They won't play terrible dominated hands. They will understand position to some degree and they will almost never limp. Again, while most regs at these limits are still beginners for the most part this stuff makes a huge difference. This is the biggest reason why you should expect your winrate to be cut in half when you go from NL2 to NL5. This will not happen between any other two limits in online poker. In order to beat NL5 and NL10 you will need to find ways to beat somewhat competent players who are actually trying to win and aren't going to throw their money away to you. This means that you will have to tailor your strategy to each individual player according to how they play. 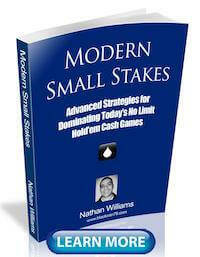 This is huge part of what I discuss in my 2nd book Modern Small Stakes. You need to find each reg's individual weaknesses and exploit them. You should 4Bet lighter especially when out of position, flat more in position and value call after the flop with a wider range than normal. You should float the flop with almost any two cards in position and bet the turn when he gives up. You can get exact data like this by using your HUD by the way. If you play live (or on a site that doesn't allow HUDs), then you will have to rely on your observation skills. There is nothing too complicated here. These are just simple logical counters to the large imbalances that you frequently find in the regs at NL5 and NL10. However, you also don't learn this stuff over night. You should expect to spend several months at least with consistent play and study in order to become the best at these stakes. How Long Does it Take to Beat NL25, NL50 and NL100? Once again I am going to group several limits together here so that this article does not turn into another book. Are there differences between NL25, NL50 and NL100? Yes large skill differences. However, I think that there is enough in common to loosely group them together. And they all play at a significantly higher skill level than what is required to beat NL5 and NL10. I would expect it to take 6 months to start consistently beating these games if you are a total beginner and 1 year to become the absolute best at them. As long as you are table selecting you can still find almost as many fish as at NL5 and NL10. However, the key difference is that the regs are in general quite a bit better at NL25, NL50 and NL100. They don't often have the massive imbalances in their play like I just described above (i.e. huge gap between flop CBet and turn CBet) that you see all the time at NL5 and NL10. They also do not tilt as easily. Instead, most regs at NL25, NL50 and NL100 take the game fairly seriously. They have probably read or watched a lot of the same books and training videos that you have. Some may have even hired a coach to help them at these stakes as well. And lastly, not only will a good amount of the regs be using a HUD (this is true at NL5 and NL10 as well) but the key difference is that they will understand how to actually use it more effectively (i.e. find your weaknesses). But with all that said, almost every reg at the micros still has noticeable leaks in their game. Or at the very least they still lack an understanding of advanced poker theory such as properly assigning ranges, understanding what hands they block and pulling the trigger on big bluffs. Also, there are still plenty of regs at NL25, NL50 and NL100 who are just mass tabling nits (12/10 at full ring or 18/16 at 6max) just sitting around waiting for the nuts and collecting rakeback. You can exploit these kinds of players all day with the simple counters that I discussed in the previous section. And lastly, fish are fish at any limit and they also exist at all limits. If you make table selection and site selection literally your job when playing poker you could just bumhunt these games all day and only play against complete droolers. How Long Does it Take to Beat NL200, NL400 and NL600? Once again I am grouping several limits together here for the sake of brevity. NL200, NL400 and NL600 (and NL500 if you play Zoom) are the first stakes where finding the weak spots starts to become pretty difficult. Many of the regs at these stakes are pros and take the game very seriously. The "bad regs" who commit basic errors at the lower limits don't last long here. Fish still show up from time to time but they are rare. So how long does it take to beat these stakes? I would say anywhere between 1 and 2 years with dedicated play and study. It really depends on the individual more than anything though. You have to really start understanding this game on a deeper level. You need to know "why" certain decisions are better than others and be able to think for yourself and improvise on the fly. This requires a lot of experience and high level study. Also, since the player pool is much smaller at these stakes it becomes less and less of a game of HUD stats and more a game of psychology and balancing your ranges in every scenario. A good player at these stakes knows that he has to show up with different hands and take different lines in all situations in order to keep the regs guessing. A reg raises from middle position and you have X playable hand on the button. 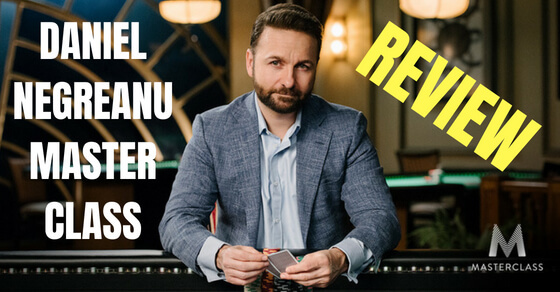 You should be capable of flatting or 3Betting here with premiums, broadways, strong aces, suited connectors, suited aces and more. This way your opponent can never know what kind of hand you will show up with this time. Postflop you should be taking a variety of different lines in these spots as well whether you are the preflop raiser or not. And this should be the case whether you flopped top set or 8 high. The bottom line here is that you can't get away with a polarized range anymore like you can at the lower limits. You have to be able to show up with strong hands, mediocre hands and bluffs in all situations. Otherwise many of the regs at these stakes will catch on and exploit you badly. You also need to be capable of analyzing ranges well by these limits and understanding how you block certain hands. You need to understand how many value hands and bluffs your opponent has in various spots and then counter that effectively. These limits aren't easy but they aren't impossible either. Every year people climb up to them and beyond but you shouldn't expect it to come fast or easy. How Long Does it Take to Beat High Stakes? Lastly, I am not even going to comment much on high stakes (NL1000+) because I haven't played at these limits in a long, long time and the game is played at a very high level these days. You will find some of the best poker players in the world at these limits online. Beating these stakes requires world class talent in most cases. This is why most people will frankly never make it to these limits. However, this doesn't mean that it is impossible. OtB_RedBaron is a good example of this in recent years. 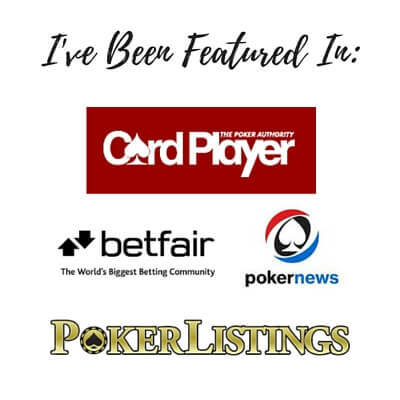 He is regularly regarded as one of the best 6max players in the world today with about 2.2 million dollars in tracked earnings at the time of this writing. This is Pokerstars and NL5000+ only by the way. There could be way more at lower limits and on other sites. It took him about 4 years to get there. How long does it take to get good at poker? Well it depends on what stakes you are talking about beating, your dedication to playing and improving and a whole host of other factors. But in general the learning curve gets steeper the higher you move up. This isn't really that surprising though. When more money is involved people are going to take the game more seriously. With a reasonable amount of focus and dedication most people should be able to have success at the lower stakes within a few months. However, it might take years to reach the mid and high stakes levels. I should mention lastly that even though this entire article was focused on cash games, I believe that the same will be true in tournaments and sit and gos. Let me know your experience in the comments below. How long did it take you to beat each limit? I am sorry, but I slightly disagree with you on NL10 - and totally disagree with you on NL25+. If you have a day job, but takes poker seriously, it takes 2 years and 1 mio+ hands to beat PokerStars NL10 - and it takes 4 years and 2 mio+ hands to beat PokerStars NL25. This is the reality for most players with sharp brains - and it is even true, if you hire coaches and buy expensive video material and software tools along the way. You have to remember, that times has changed since 2006. Todays players are much better, the rake is much higher and the rakeback is much lower. Sorry but I do not agree with your numbers and I am not sure where you got them from. Most poker players who I know who have beaten NL25 have done so inside one year and in some cases much quicker than that. I should be clear though that I am talking about people who take the game very seriously, not casuals. I have made some edits to the article now to state that better. Also, it should be noted that most people lose at poker in the long run anyways for many different reasons. So if you are able to turn a profit in this game (no matter how long it takes), then you are already way ahead of most people. 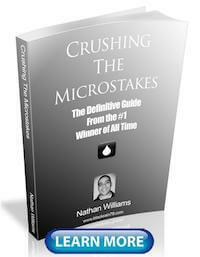 Hi Nathan, another good post and very timely (I'm stablishing my poker targets for the year). I'd like to now how many hands did you consider when assuming "someone that has a full time job or is a student with limited time" can play per month. This is my current situation but sometimes I just can't play regularly. Number of hands would give a better understanding of what you mean by that. I'd like your opinion as well on playing Zoom at PokerStars. When you make references to it, it sounds like that is the most difficult field to be beaten. I don't mind not having big winrates, my main concern is learn very well the game and to beat the level. The bad thing for me is that in order to "confirm" it, I need to have a certain volume (which is hard for a non pro to achieve). What I want with poker is to be a profitable/ enjoyable hobby. And by profitable I don't mean to have it as a side income, if I break even is fine. The most important thing for me is to know that I'm evolving and that I would feel confident to play with anyone on-line or live at moderate stakes. Thanks, glad it helped! When talking about somebody who works full time or goes to school I mean someone who takes poker very seriously. I should have been more clear in the article and I have made some edits to fix that now. What do I mean by "very seriously?" I used to play 100k hands a month with a full time job. I would 8 table or 12 table for 3-4 hours every night after work and play 8+ hours on the weekends. I would very rarely take a day off. Zoom is fine at the lower stakes and even higher if you don't mind a lower winrate. You can't table select or get position on someone so this is always going to be the case. Zoom is more convenient though and is great for people who want to grind big amounts of rakeback as well. Online - I've played 20,000 hands over the past 18 months. Playing NL2, NL4 and NL 10, I'm even. I lost a few hundred dollars when I started playing NL25 and Omaha H/L at NL50. My early HUD was VPIP 35 - 45, now its 12 - 17 (depending on cards). In December I set my goals to start winning, I was going up and down within a $25 bankroll. I'm looking to double my bankroll in the next 4 months. Over the past few weeks I'm even. I would be half way their but I lost one hand on a bad beat. I had AA in the cut off, raised, mid position raised 4x my bet, button called, I re-raised, mid position went all in, button called and so did I. Button had 10 8, on the last card he caught a 9 for a straight. In all other sessions, I've been a winner. Live - I play every two or three months. I usually read people pretty well and usually win at $1/2. I've never tried $2/5. Overall - Online playing has helped me learn the game. Personal bankroll is not an issue, i just want to build my poker bankroll to see if I'm winning. Questions - What percent of your sessions do you win at ? When everyone's VPIP at the table is below 30, should I move tables? What do people learn from the game as they approach 40,000 hands or 60,000 hands? Glad my articles help! With your lower volume I might consider just playing live exclusively if this is possible. Because the thing with online is that the edges are a lot smaller (because the players are a lot better on average) and therefore you need to play a lot of hands to get to the long run. 20k hands in 18 months is honestly just a drop in the bucket. I think I win about 60% of sessions online but I am not positive. I am sure it is much higher live. I typically move tables when there is no clear fish (VPIP 40+). When you play more hands you see the same situations over and over again. You remember outcomes from the past and (hopefully) make better decisions because of it. Glad this article helped you! Hi Nathan ! It's been a while now ! Even if I quited poker I still love looking at your posts and it's good to see your are always here ! Last day , I was reading Art of War by Sun Tzu . In a chapter , he talk about the 5 greatest dangers , 4 of them make me really think about poker ! It's funny to see that a book writed 2400+ years ago , can find his place in a modern game like poker and in other area in life ! Just wanted to share that with you , maybe it can inspire you ! @kash4976 I don't understand how the first statement : " a too large ardor to face death " can be related to poker ? I understand the rest but not this one. Good to hear from you and I hope you are doing well! I have the Art of War on my Kindle but I still haven't read it. Sounds like a great book though! @Mircea Enache I directly thought about wanting to get involve in too many hands ( even the ones you are not really in good posture ) . I think we have all done this when you feel really confident . yes ... when I run good I want to play even more hands ... in my mind I think something like : I got to profit now and play more before this time passes out .... I still think this is a good thing to do sometimes lol. It's exactly the oposite what a lot of people do : I become tighter when I am running bad and I open up when I run good. Funny at SunTzuPoker.com relates the book to poker.....perfect for TAG game. I just came across the website before reading your post.